I recently noticed a significant increase of overlapping posts/ threads on the forum. Realistically speaking this probably cannot be avoided as new members join to have one or two questions answered so they can set up their hardware. But I do think that it would be beneficial to have this under control. To this end, I feel that a part of the problem is that people do not us/ do not know how to use the search functions available to them. 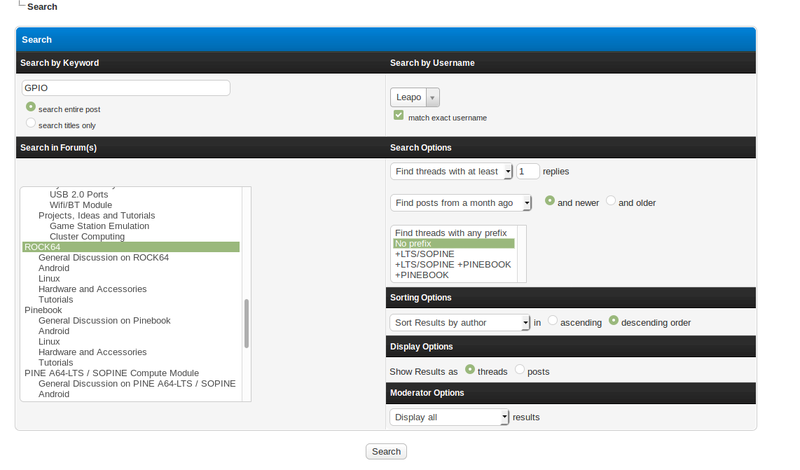 Typing in a search query in the box on the top right of the forum is rarely useful because of how myBB interprets a search. 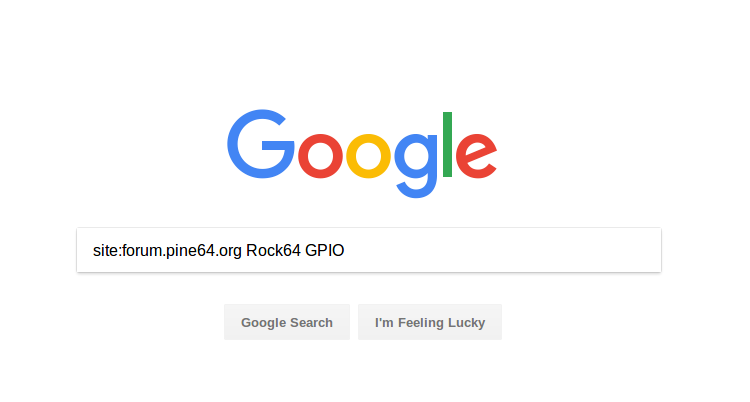 is understood as Rock64 OR GPIO as opposed to the AND behavior most people expect. Clicking it reveals a number of useful options including: restricting searches to a sub-forum (device), max/min number of responses, author, username(s), date-range of the thread/post, prefixes, etc,. As you can see, when used correctly myBB search can actually be quite useful. Not only does it help you find that you need or join the relevant thread, but it also spares the mods some pointless work of redirecting people to the correct threads. In short, please use the search function before posting. Thanks.